Premium Motorsports announced today that Canada native Gary Klutt will make his Monster Energy NASCAR Cup Series debut August 6 at Watkins Glen behind the wheel of the No. 15 Color Compass Chevrolet. 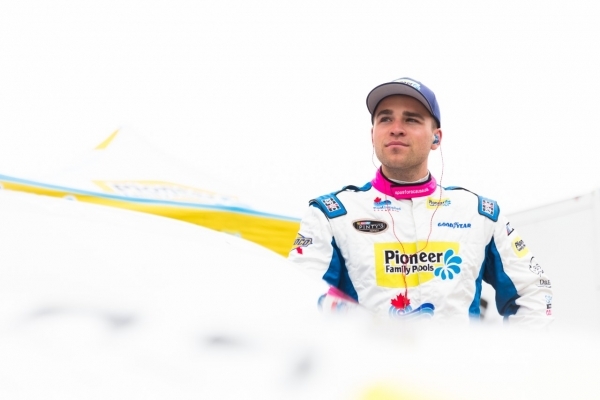 Klutt is currently in his third season driving in the NASCAR Pinty’s Series (NPS), and enjoyed his first start in a National series at Canadian Tire Motorsports Park, last summer driving the #51 KBM Tundra, coming back from a mid-race incident finish 11th. Color Compass, will be Klutt’s largest partner for the event, a Canadian paint distributor, that is excited to get involved in Klutt’s blossoming career and he makes his debut at the pinnacle of the sport. The #15 Chevy will also feature Fusillo Construction, and continued support from Pioneer Family Pools for Klutt’s Cup Series Debut. 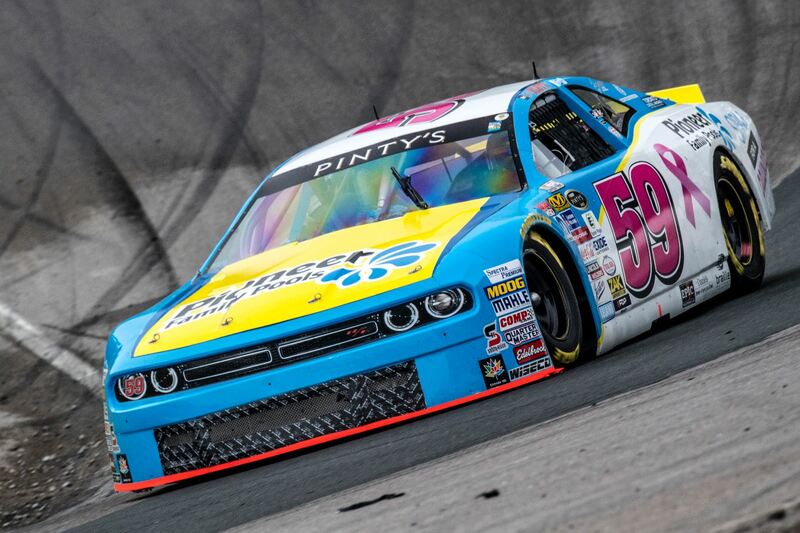 Bowmanville, ON (May 23, 2017)- As the NASCAR Pinty's Series teams descended on Canadian Tire Motorsports Park for the season opening round, the Pioneer Family Pools #59 team came prepared and had a strong car on Saturday for qualifying, missing the mark for pole by a few tenths, and qualifying fourth. The green flag for the Sunday afternoon feature race flew with rain coming down. Everyone was required to start on rain tires. “We had good pace," said Klutt. "But as the track dried up and the rain stopped, we started to really struggle. We had gambled with the set up, believing that it was going to rain for the entire race... we gambled wrong”. The #59 of Klutt was forced to come into the pits during the green flag and, change to dry tires and make the necessary adjustments for a dry track. The pit stop caused the #59 to go a lap down, Klutt managed to gain the lap back, but just in time for the rain to start again. The next two pit-stops saw Klutt, again, a lap down. Klutt got back on the lead lap in time to take the first, Green-white-checkered flag restart as the last car on the grid. Klutt was on a mission, racing hard and taking chances. Coming into the final lap the #59 Pioneer Family Pools Dodge was in fifth, but crossing the line for the checkered, Klutt had made it to third place. 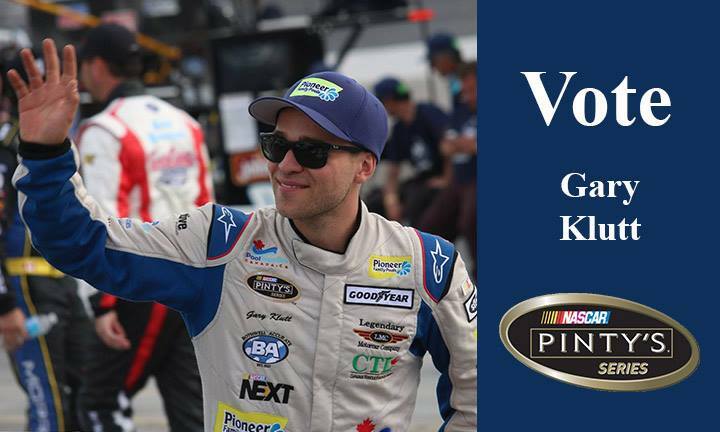 Gary Klutt is Sponsored for the NASCAR Pinty's Series by; Pioneer Family Pool/ Poolsuppliescanda.ca, Toronto Digital Imaging, Titan Productions, Daniels Corp, Bison Lodge, Braille, Epic Racewear. 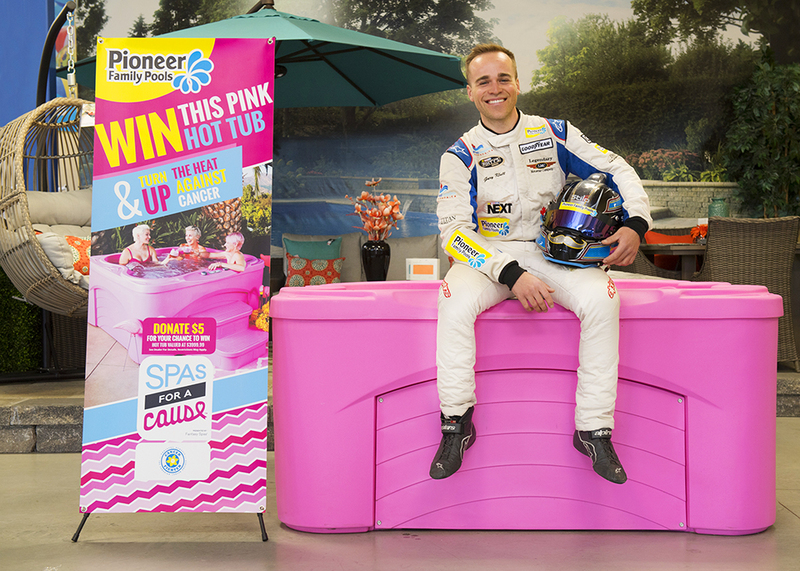 Visit spasforacause.ca or pioneerfamilypools.ca, and for every $5 donation, you’ll receive a ballot to win a pink hot tub that will be raffled off at the Pioneer Family Pools Burlington location on November 1st, 2017. We also have a special incentive for those who want to donate more than $5. If you’re a fan of Legendary Motorcar and a fan of our TV co-host Gary Klutt, please vote for Gary to be NASCAR Pinty’s Series’ Most Popular Driver 2016. Just click on the link below. Don’t forget, you can vote once a day! The NASCAR Camping World Truck Series will be making their only Canadian stop at Canadian Tire Motorsports Park on September 2nd, 3rd, and 4th. 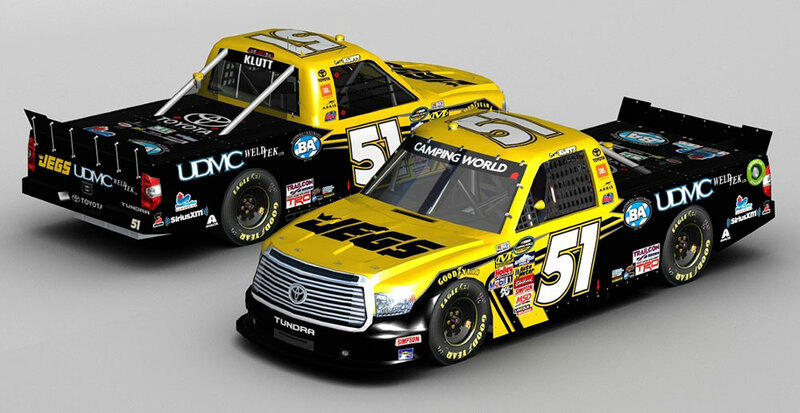 Legendary Motorcar's own Gary Klutt will be one of only two Canadians to be in the Chevrolet Silverado 250 Truck Series field after landing a ride in the Kyle Busch Motorsports number 51 Jegs Performance Toyota Tundra. 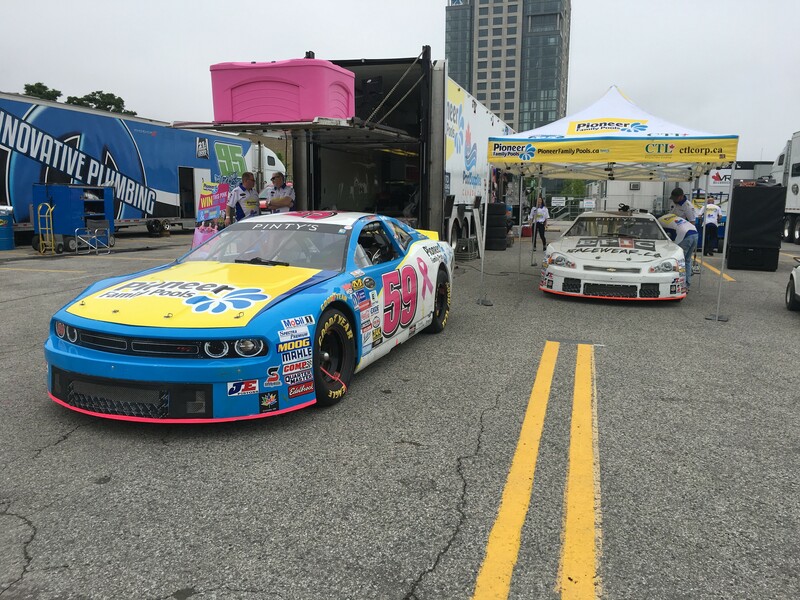 Klutt will be doing double duty this weekend as he will also be racing in the NASCAR Pinty's Series Can-Am 200. Peter Klutt will also be in the NASCAR Pinty's Series race this weekend behind the wheel of the 42 car.